There was a silverfish on the wall of our bathtub yesterday. 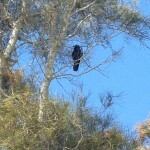 I caught sight of it from the periphery of my vision. A mark to be wiped away until I realised it was one of those monsters, paper eaters and destroyers of books. 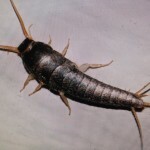 Silverfish, a lovely name for an ugly creature, not so much the creature itself but what it does. So I plucked off a square of toilet paper and tried to trap it. The fish did a few laps around the bathtub before I had it pinned, and then I flushed it down the toilet. ‘Drown silverfish. Drown. No more paper for you’. It occurred to me then that my knowledge of silverfish is limited to my childhood when someone told me these insects were pests for the way they ate up books. And I believed them. A moment later, after the drowning, my guilt set in. Another person might not have been so quick to be rid of the silverfish, this insect without wings and with two long feelers in front. Silver grey like dust, these insects blend in well with the places where we find them, the cool and moist corners of libraries, the place of old books. There was only one silverfish in our bathtub. Where was its family, the others of its kin? Of course not. Silverfish don’t grieve. Kangaroos might. I saw a YouTube clip on Facebook of a male kangaroo cradling the head of its kangaroo wife, a dying female, while their joey looked on. And later I saw the short clip of a koala throwing a tantrum and screeching furiously after its fellow koala had ousted it from a eucalypt somewhere in Adelaide. The koala looked indignant, paws punching the air and it squealed like a devastated child. The kangaroo, too, had looked grief stricken. The point of these clips perhaps: animals feel too. 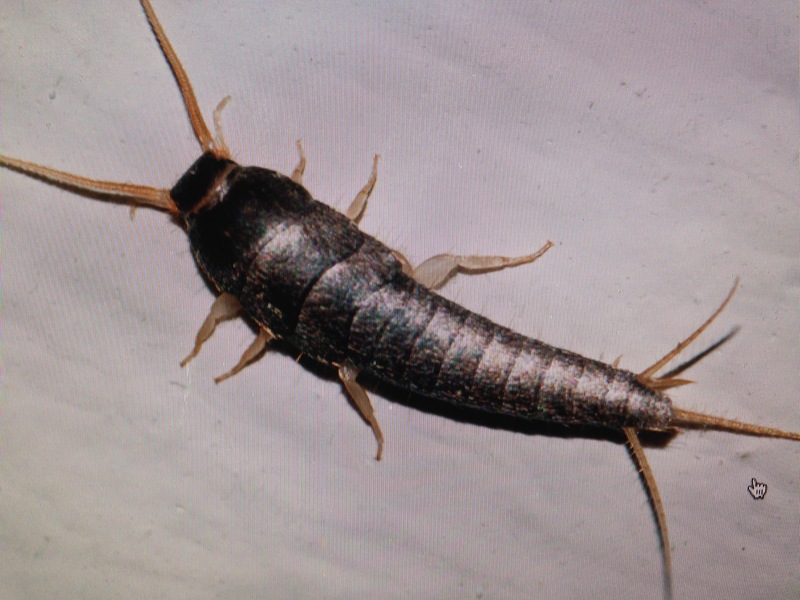 A silverfish is lower down on the animal pecking order. But can we ascribe emotions to the insects of this world in anything but a Disney or Pixar cartoon? We measure psychopathology by the degree to which a child, typically, a small boy, takes pleasure in plucking off the wings of butterflies. I find myself remembering a Katherine Mansfield story about a man whose ‘friend’ visits and reminds him of that man’s son who had died in battle six years earlier during the First World War. Left alone soon after, this man, the father of the dead son, expressionless and in shock, unable to grieve it seems, notices a fly struggling at the lip of his ink bottle. The man helps the fly out and onto some blotting paper on his desktop, where he marvels at the fly’s determination to dry its wings. Then the man takes out his fountain pen and lets a blob of ink fall down upon the fly, now resting in the sunlight. The fly beats its wings again as if to flap them free of the tormenting ink. It flaps and flaps until it looks as though its wings are ready to work again, when the man picks up his pen and drops another blob of ink onto its back. This time the fly hesitates before starting to work once more at drying those wings. All the energy involved in getting them dry, flap after flap of wings, until at last the fly is ready for take off, and once more the man drops a blob of ink onto the fly’s back and this time, or maybe it’s one time later, the fly cannot muster the energy to go on. It flops down motionless, dead on the blotting paper. End of story, or maybe the end comes when the old man flicks the fly off the blotting paper and into the waste paper basket, a man unable to grieve, a man who cannot let himself know about how dreadful he feels to have lost a son in a war that he is responsible for, however indirectly. The wars of old men, the generals who set things in motion, the war lords, the presidents, prime ministers, dictators, men who compete with and try to dominate, men who use their sons as fodder. And here I am letting my mind wander too far afield. The silverfish I flushed down the toilet in one swift act did not suffer as much as the fly in Mansfield’s story. Grief is like that, too. It comes upon us when we least expect. 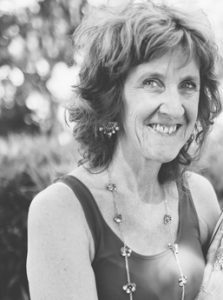 And grief can also be exhausting, something some of us might well want to tip into the wastepaper baskets of our lives so that we need not know too much about our suffering. Only, the removal of rubbish or flies or even silverfish does not work. The grief sneaks back, repositions, like a swarm of insects. It comes again and again to haunt us. The poet, Robert Adamson, whom I follow on Facebook, has been writing of his experience in rescuing a small bird, whom he named Spinoza, and of helping this bird to heal, to grow and in time to fly. One day soon, Adamson reports the bird will be big enough to join his other bird friends in the wild, and that will be a sad day for Adamson, who has come to love this bird. Spinoza in turn has helped his rescuer to get over some health concerns, to get outside more, and in a sense to fly. In his musings about Spinoza, Adamson quotes a line from Emily Dickinson, words that have not left me since I first read them. These words conjure up the image of a bird in flight, a bird traveling to and from, a bird that abandons you. I have long thought of grief as something that travels in waves, and to be sure, although I have had my share of misfortune, I have yet to suffer real grief, deep grief, the sort that doubles you over. I have lost loved ones, watched a young niece die, and watched my mother and father die, though the deaths of my parents seemed timely. I have suffered disappointments as well, but never the mind numbing grief that leaves a person diminished and changed forever. Not that I am asking for such a load, but still I am curious about how it might be. I suppose, as in all things, there are levels of grief and levels of loss. These I have known and I have sat with others through their own unbearable grief at the loss of loved ones, at miscarriages, at broken hearts. It seems strange to be writing this, as if I am inviting it upon my head. It reminds me of a notion I held as a child, that if you spoke out loud about something, you most likely made it happen. Therefore it was important to keep your dangerous thoughts to yourself, even from yourself, which was the hardest thing of all to do. This morning in my sleep, punctuated by my need for a pee, I dreamed I used the oven as a toilet. Somehow I managed to ease my body into the cold oven, whose door was wide open and I peed onto its baking tray. As I peed I realised how unsanitary this must be and decided to stop mid stream. Then I pulled out the baking tray and washed it down the sink. A dream perhaps of putting things into the wrong place, and of realising my mistake before it is too late. Have I done this of late, put things in the wrong place, and talked to people about things I should not have shared with them? It’s not unheard of. My impulse, whenever I feel overwhelmed by some event, is to share it with another person whom I trust will understand. Recently, I talked to a writing friend about my experience of a writing workshop several weeks ago. It’s a long story but one in which a large group of women sat around in a circle to discuss their experience as writers. Somehow these words derailed me. They hit a raw nerve, of grief, perhaps. I’m good at persevering, not so good at giving up. Anyhow, after the lunch break where I chose to sit alone nursing my wounds because I could not see how else I could deal with them, the discussion continued around the idea of the importance of not chasing publishers all the time, of knowing when a project should be abandoned, of knowing when to give up and of starting something new. And as the woman who ran the group spoke these words, as I sat in my place at the tables, which they had set up to form a horse shoe of sorts, tears rolled down my cheeks. I kept my head lowered. I tried not to let it show. In order not to let it show, I wrote down the words the leader of the group was saying onto my notepad. No one in the group said anything about my tears and I have no idea whether anyone from this large group of women noticed them but no one alluded to my distress and the speakers spoke on, and I wrote down their words as a way of holding myself together. Whether it was in my imagination or whether it was a fact for the entire group, I sensed the energy in the room drop. It was as if everyone in the room began to feel some wash of grief as well, as the leader continued to talk about the importance of knowing when enough is enough. I made it through to the afternoon tea break and escaped to the toilets outside where I could let myself howl. I howled it out, whatever it was. My disappointment in this woman’s words. The way I heard her telling me to stop this project of mine and move onto another. I managed to get out a last sob, wash my face, dry my tears, pull myself back in place and go back for the final session before the end of the workshop. Ten minutes before we were due to finish, the organiser asked each of us in turn to outline in a few words what we would take away with us from the workshop. People spoke with optimism and determination about the year ahead and of what they would do to improve their writing practice. I was second last to speak. I, who had come to feel like the great naysayer of the group. The leader hesitated before my turn, as if apprehensive of what might follow. I told the group then, in polite form, that I had found it difficult this idea that I might give up on my manuscript. I told them how instead of writing down plans for the year ahead, I had written down the words: ‘I’ll show you. I’ll get this manuscript published’. And everyone else seemed happy after that, but not me. It’s not grief really. It’s more a heavy sadness that weighs me down still some weeks after the event. In time I expect it too shall pass. I told my writing friend this story yesterday and maybe some part of me believes I should not tell it to anyone ever, as if the very telling of it will make it all come true and jinx my manuscript, like peeing in the wrong place. 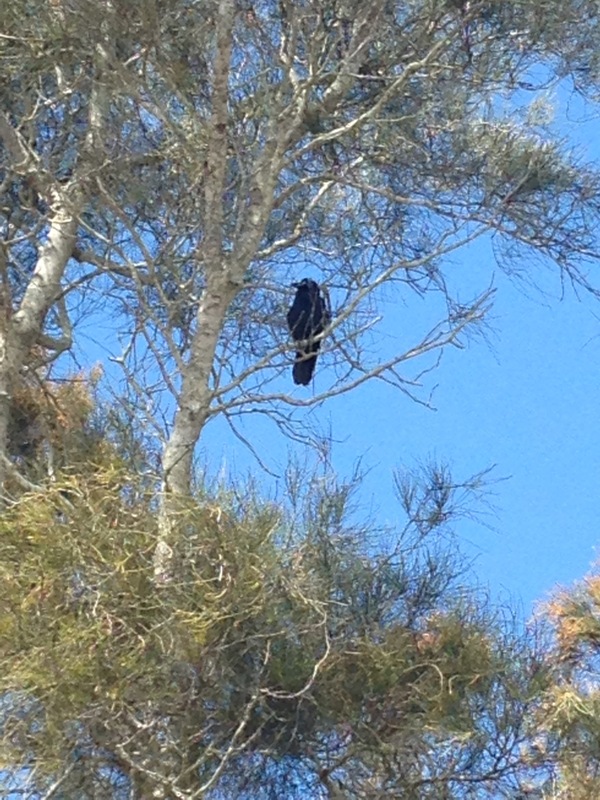 This is the bird who sat in the tree under which her family scattered my niece’s ashes. The bird arrived at the beginning of the service and did not leave until we were done. That thing with feathers.